The person they are caring for may be a parent, brother, sister or close friend. 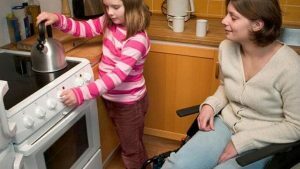 They may have help with their caring role from another family member or they may be the sole carer. What do these young people do? Also look after themselves, give medication and organise medical appointments. Why do they have to cope with so much & how does it affect them? Often they see it as their duty and because there is no one else to undertake these tasks. ​How does the project help? Group Sessions – The sessions provide the children and young people with a break from caring, gives them the opportunity to meet others with similar responsibilities, join in with the fun and educational activities and trips out, providing them with access to support and a variety of information. Group sessions are held across the Rochford District, in Rayleigh and Rochford. One to One Support Services – offered in the Primary and Secondary Schools in the Rochford District.